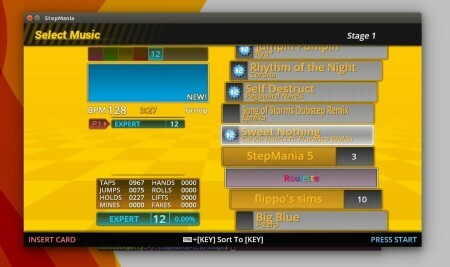 StepMania 5.0.10, the most recent stable release, has been released for more than a month. Due to lack of Ubuntu binaries, I’ve finally built this release into PPA available for Ubuntu 15.10, Ubuntu 15.04 and Ubuntu 14.04. Before getting started, remove previous release and backup songs if any. Type in your password (no visual feedback just type in mind) when it asks and hit Enter to continue. 2. After that, search for and install stepmania via Synaptic Package Manager after clicking Refresh. For those who don’t want to add PPA, grab the .deb packages from This Page. Ubuntu 14.04 and its derivatives need FFmpeg. In addition, after first launch the game will create .stepmania-5.0 folder in user root directory. 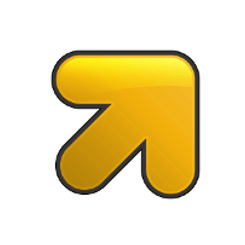 Press Ctrl+H to view this hidden folder and install Themes, Songs, etc into sub-folders. Thanks so much for making this package! Tracking down dependencies for stepmania was becoming a bit tedious. I’m running Linux Mint 17.2 64-bit and your package worked perfectly out of the box. Easy install on an old eeePC 901 with lubuntu. You rock!!!! Thank you for this. I normally have to compile each new version which takes time away from my dancing. So thank you heaps for this!!! I too can confirm this works fine! because the program has ‘stepmania’ set as a system wide command, I can add it to ubuntu’s startup applications and it will autolaunch. makes for a real setup. Cheers for the repo! Especially because Stepmania is a very niche app. Doesn’t work. After doing all of the aforementioned steps, my terminal can’t find the directory.